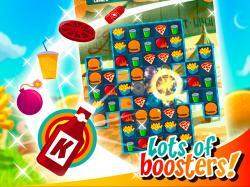 Play the tasty match-3 game & enjoy the full-of fun hours in burgers world. 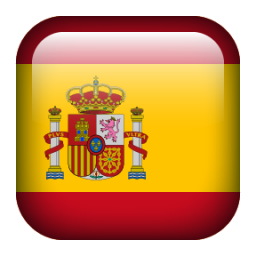 New Match-3 puzzle game created by Game Hero.Super Burger Match3 HD is a popular and tasty match-3 puzzle game, available for FREE! One of the best BRAIN TEASERS! Do you like crushing sweet and delicious candies? Why don't you give a try to burgers and hotdogs? 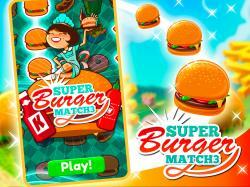 Here comes the game that meets your standards, Super Burger Match3 HD. 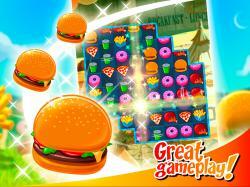 Play now as you help waitress retrieve the burgers and serve hungry customers! 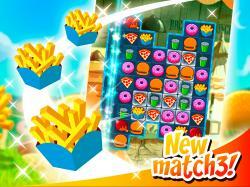 Get tasty success as you match various burgers, solving perplexing puzzles! • Swap to match 3 or more same kind grub! • Remove as many burgers as you can! • Get a special multicolor burger! • Achieve 3 stars to get more points! • Play our daily roulette to get gems, and double them! 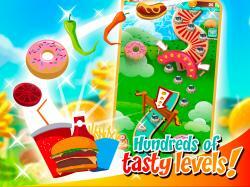 - Savor tasty success as you match burgers and hotdogs, with perplexing puzzles to solve. - More than 300 levels! and to be updated periodically!